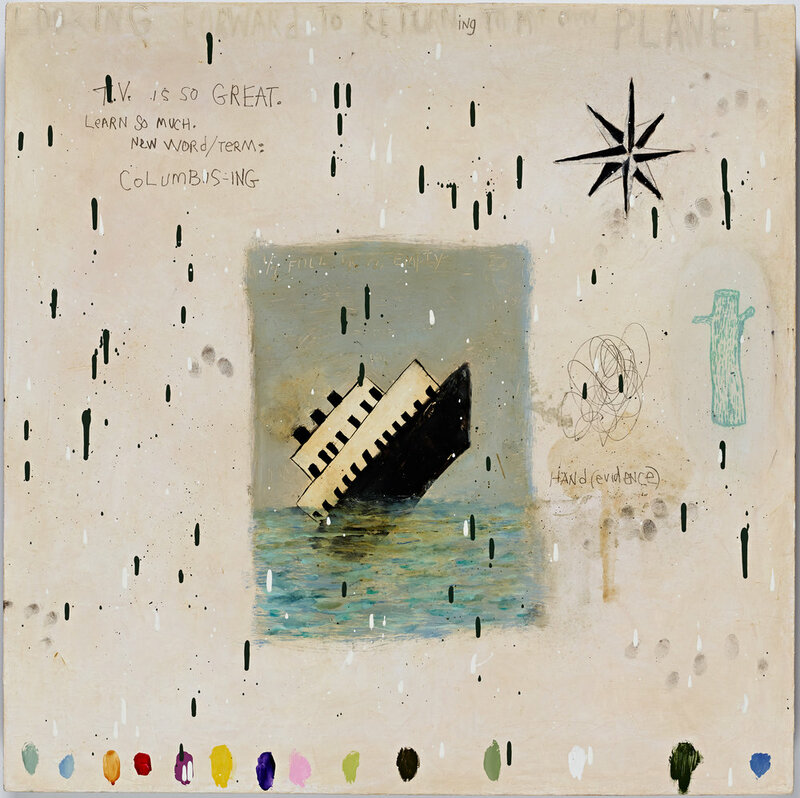 Squeak Carnwath (b. 1947, Abington, PA) lives and works in Oakland, CA. She has received numerous awards including the Society for the Encouragement of Contemporary Art (SECA) Award from San Francisco Museum of Modern Art, two Individual Artist Fellowships from the National Endowment for the Arts, a Guggenheim Fellowship and the Award for Individual Artists from the Flintridge Foundation. Carnwath is Professor Emerita at the University of California, Berkeley.